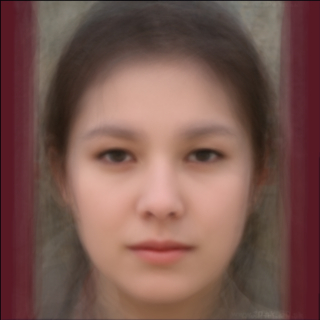 This is an average face of 11 Caucasian and 11 Asian (Japanese) females. Thus, this average face should be ambiguous with regard to its ethnicity. However, my impression of this average face is that it is obviously on the side of Caucasian, although its ethnicity is not so vivid. I am a Japanese living in Japan. So, most faces I see in my daily life are Asian faces. If this fact is responsible for my biased impression, I would like to know how people living in environments where majority of people are Caucasian feel about the ethnicity of the average face shown above.